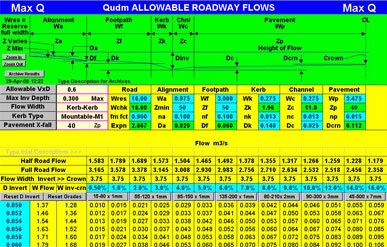 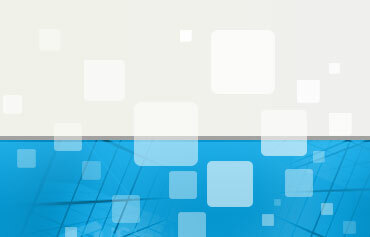 Roadflow calculates allowable roadway flows permitted by the Queensland Urban Drainage Manual. 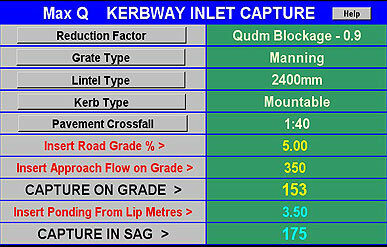 Kerbway Capture covers all inlet configurations including road centre and field inlets. 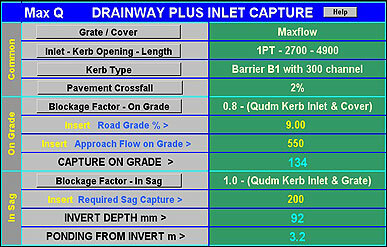 Drainway Capture covers all inlet configurations on grade and in sag. 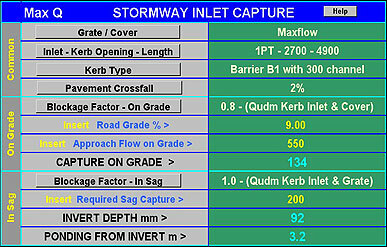 Stormway Capture covers all inlet configurations on grade and in sag.